Or read about “Why become an Expert“. TASA delivers timesaving, targeted referrals to quality expert witnesses in all fields and all locations, for plaintiff or defense. Our experienced referral advisors work with you to pinpoint your specific expert witness criteria and connect you with expert witnesses who are available to discuss your case. There is no charge for our search and referral services unless you designate or engage an expert witness we refer. 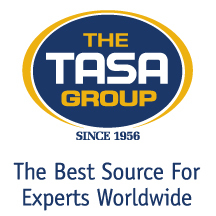 As a client, you will benefit from TASA’s years of experience and innovation since 1956. We invite you to explore our website and its features, search expert witness profiles within TASA’s 11,000+ categories of expertise, submit an expert witness request, and tap the Knowledge Center for archived expert-led webinars and case-relevant articles written by TASA-referred expert witnesses. Trust TASA to help you identify the best expert witness for your case.